Keep only the single cells that passed the QC filters. This also removes the bulk samples. Remove genes with zero molecules in the single cells. Standardize the molecules to account for differences in sequencing depth. This is necessary because the sequencing depth affects the total molecule counts. Remove genes with zero molecules in the bulk cells. Remove genes with zero reads in the single cells. Standardize the reads to account for differences in sequencing depth. Remove genes with zero reads in the bulk cells. 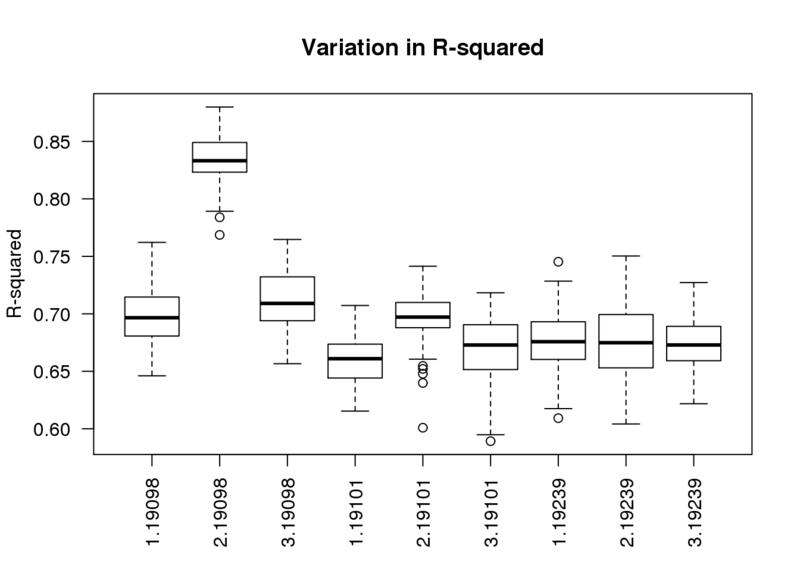 Create function for investigating the correlation with the ERCC concentration. Sort ERCC data file by the spike-in ID. 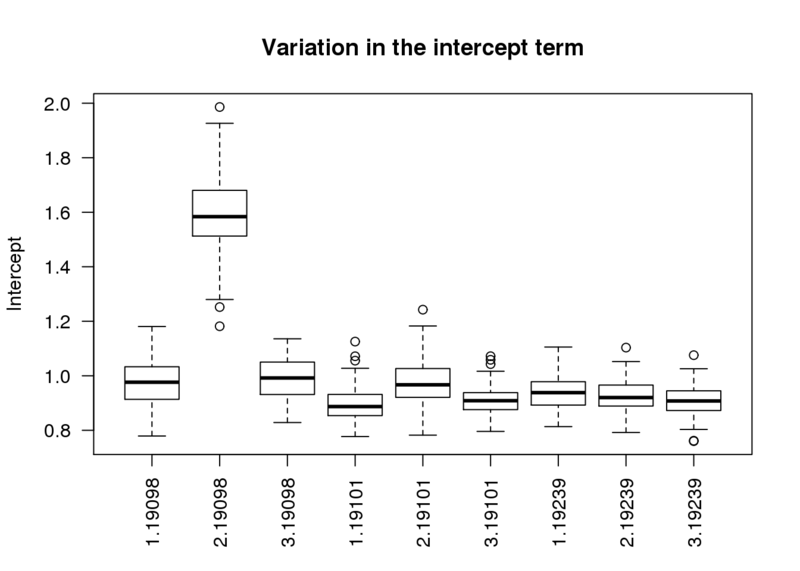 How many of the 92 ERCC spike-ins had at least one read sequenced in at least one of the samples? 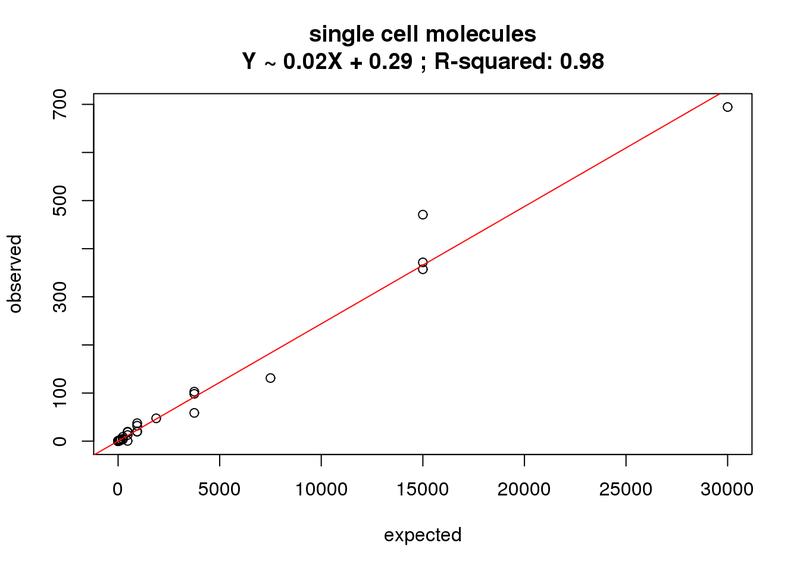 What is the correlation of the mean molecules in the single cells to the expected concentrations? 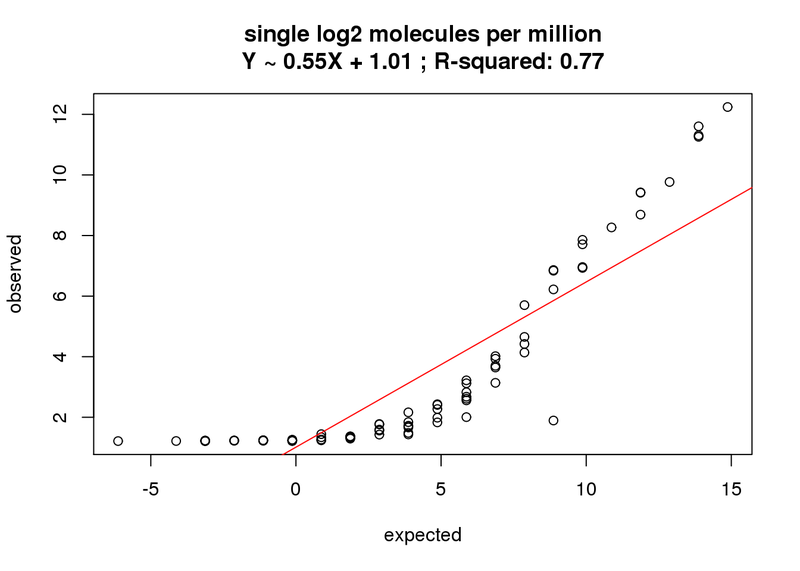 What is the correlation of the mean log2 molecules per million in the single cells to the expected concentrations? 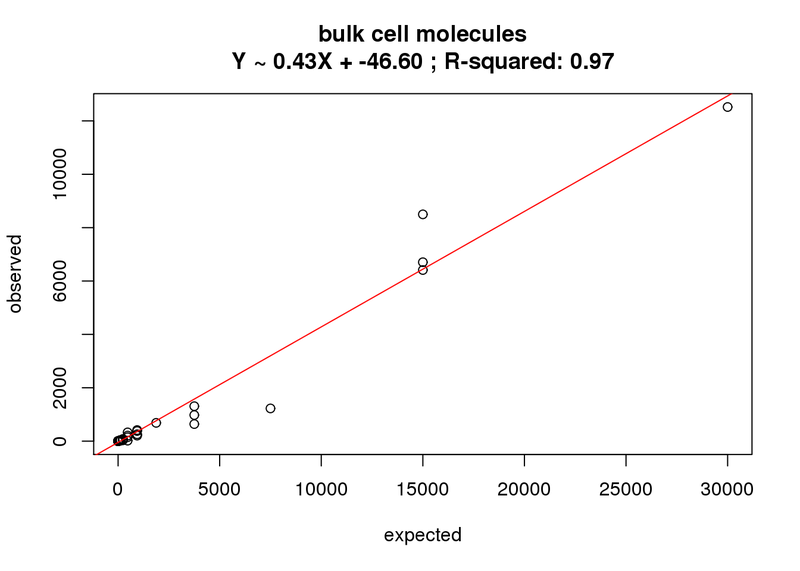 What is the correlation of the mean molecules in the bulk cells to the expected concentrations? 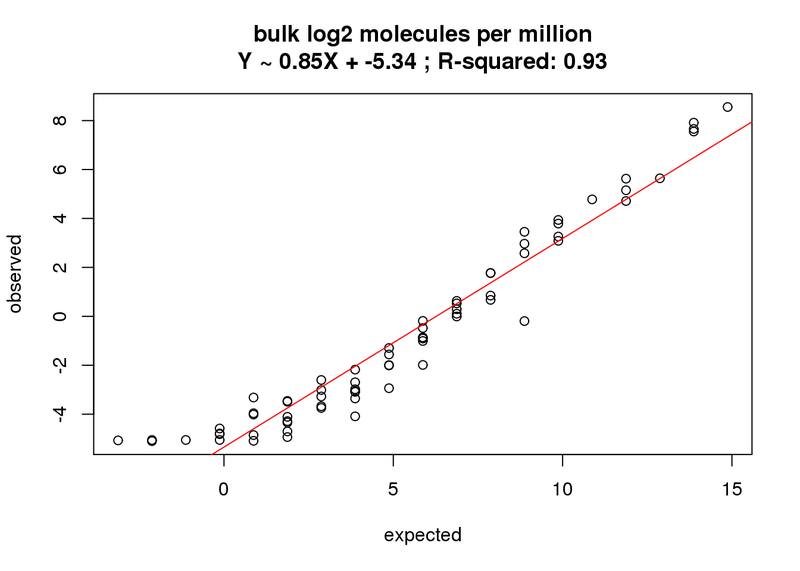 What is the correlation of the mean log2 molecules per million in the bulk cells to the expected concentrations? 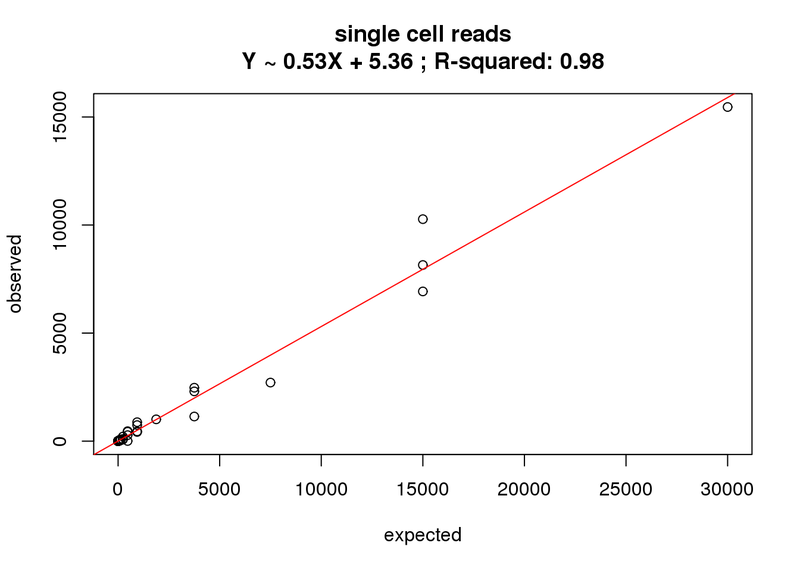 What is the correlation of the mean reads in the single cells to the expected concentrations? 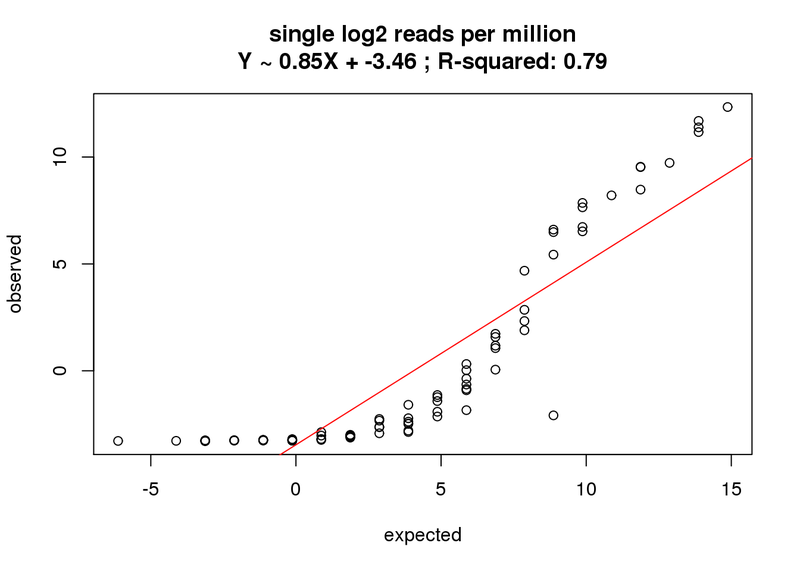 What is the correlation of the mean log2 reads per million in the single cells to the expected concentrations? 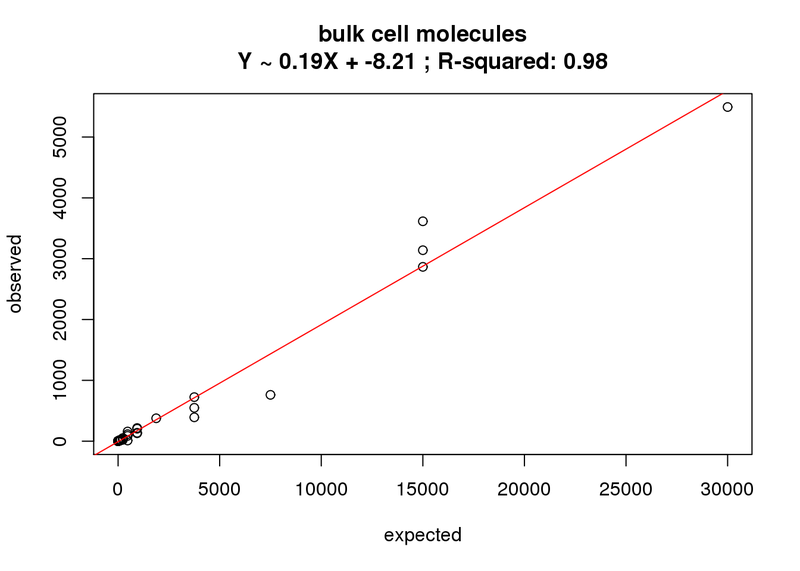 What is the correlation of the mean reads in the bulk cells to the expected concentrations? What is the correlation of the mean reads per million in the bulk cells to the expected concentrations? 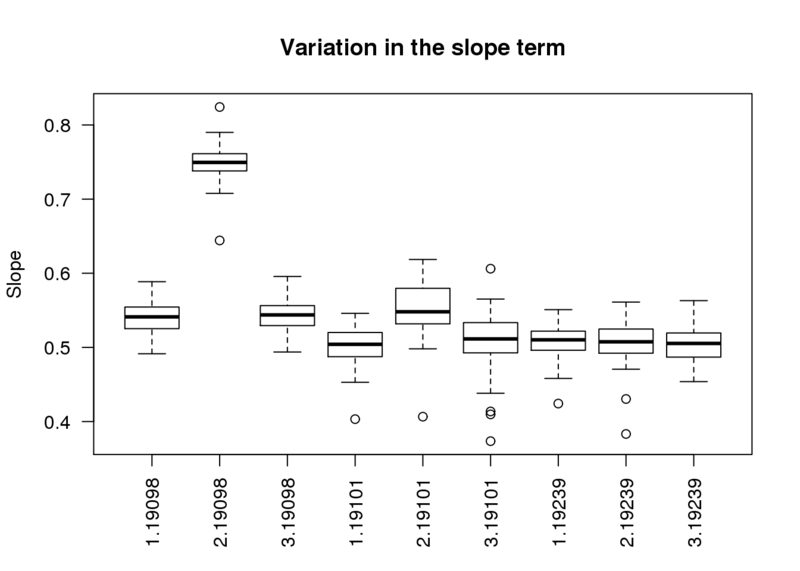 How much variation is there in the correlation between the samples? The following analysis uses the log2 cpm in single cells. As expected, batch 2 of individual 19098 is an outlier.